Title: The name of this organization shall be the American First Day Cover Society. Organization: The legal title to this organization shall be the American First Day Cover Society, Inc., a body corporate organized pursuant to the laws of the State of Maryland, and the legal successor to a corporation of the same name incorporated under the laws of the State of New Jersey on November 21, 1956. Official Documents: Documents governing the organization and operation of the Society shall include the Articles of Incorporation of the American First Day Cover Society, Inc. as approved by the State of Maryland, and the Bylaws of the American First Day Cover Society, Inc. as approved by the Board of Directors. Said Documents shall include any amendments or additions which may be made and approved from time to time. Journal: The official Journal of the Society shall be titled FIRST DAYS, to be published by the Society at times and in a manner as established by the Board of Directors. Purpose: The purpose of the Society shall be to promote and foster an interest in the study of United States and foreign First Day Covers; to promote the interest of the general public in philately and postal research; to encourage the study of postal history through the study of philatelic materials; to maintain archives of philatelic materials for research by interested persons; to sponsor and assist other organizations with a like or similar interest so as to encourage a wider knowledge of postal history by the general public; to advise Postal and other authorities as to the interests of First Day Cover servicers and collectors. Board of Directors: The affairs of the Society shall be managed and controlled by a Board of Directors of not less than nine (9) persons nor more than twenty-four (24) persons of which not more than four (4) shall be Directors by virtue of their office. All other Directors shall be elected by the membership in the manner prescribed by these Bylaws. The Board of Directors shall determine the composition of the Board within the limits herein established. Executive Committee: The business of the Society shall be managed by an Executive Committee as directed, and within the limits of authority established by the Board of Directors from time to time. Officers: The officers of the Society shall consist of a President, Executive Vice President, First Vice President, Recording Secretary, and Treasurer. The officers, together with the Editor, Executive Secretary, and General Counsel, shall have the duties as established by the Bylaws and as may be directed by the Board of Directors from time to time. Qualifications: Any person of good character who is interested in First Day Covers and who agrees to conform to the Bylaws of the Society may be a member of the American First Day Cover Society. Charter Members: Those members who joined the Society prior to September 10, 1956. Regular Members: Those persons whose applications have been approved by the Society and who remain in good standing. Family Member: The immediate relative of a member in good standing who resides with the member at the same address. Such a member shall have all of the rights, privileges and responsibilities of a regular member, with the exception of not receiving the issues of FIRST DAYS. Life Members: Any regular or Charter Member in good standing and not under suspension or disciplinary proceeding, who has qualified as a Life Member by payment of a fixed fee for such membership, as may be established from time to time by the Board of Directors, during a time when applications for Life Membership are being accepted. Life Members shall not be required to pay annual dues. Honorary Members: Honorary membership may be conferred upon individuals at the discretion of the Board of Directors for outstanding or meritorious achievement in the field of First Day Covers or for activities extraordinarily benefiting the Society. Honorary members shall not be required to pay annual dues. Associate Members: Any person accepted by the Society with less than the full status of Regular Members. Rights, privileges and benefits of such a member are determined by the Board of Directors except that Associate Members cannot vote in Society elections, cannot hold office, and do not receive the journal, FIRST DAYS. Good Standing. All Classes of members shall be in good standing if their membership is not under suspension, revocation or subject to any disciplinary proceeding, and, if required to pay dues, they have paid the required dues for the current year. Resignation: Any member may resign from membership in the Society by submitting a written request therefor to the Chairman of the Membership Department or Executive Secretary. If the individual so resigning has any outstanding obligation to the Society, holds any files, funds or other Society property, or is the object of any proceeding for expulsion, the resignation shall not be effective unless and until approved by the Board of Directors. Termination: Any active member who is required to pay dues may have such membership terminated automatically by the Chairman of the Membership Department or Executive Secretary if such dues are not paid when due. Suspension: Any member, regardless of classification, may be suspended from membership by the Executive Committee in the event written charges sufficient for disciplinary action or expulsion from membership are brought against such member. Such suspension shall commence five (5) days after the date a certified letter stating such charges is mailed to the member at the current address listed with the Chairman of the Membership Department, and shall continue during the time when such charges are being reviewed by the Board of Directors. Any such violations shall be processed in a manner as set forth in the Disciplinary Procedures section of these Bylaws. Expulsion: Any member, regardless of classification, may be expelled from membership in the Society by Resolution of the Board of Directors upon a determination by the Board of Directors that the conduct of said member is in violation of any one or more Rules set forth in the Disciplinary Rules of the Society as established by the Board of Directors. All such Resolutions to expel a member shall be final. Refunds: A member who resigns or is expelled is not entitled to a refund of any dues or fees paid for membership. Reinstatement: Any former regular or charter member whose membership was terminated for nonpayment of dues or any former regular or charter member who resigned from membership while in good standing may be reinstated to membership upon written application and payment of current dues, as applicable to all new members. Any former life or honorary member who resigned for good cause may be reinstated to life or honorary membership upon application therefor to the Chairman of the Membership Department or Executive Secretary and subject to approval by the Board of Directors. Transfer of Membership. No membership in the Society shall be transferable or assignable. Application for Membership: Any qualified person desiring to become a regular, life or family member in the Society shall submit a completed current application form to the Chairman of the Membership Department or his designee, together with the sums required for dues. The Chairman shall provisionally approve the application if complete and if the applicant appears to be of good character. All applications shall then be published in the Journal of the Society at which time the applicant shall be enrolled on the membership list and assigned a membership number. If any objection to the membership of an applicant is received within seventy-five (75) days from the date of publication in the Journal, the complaint shall be referred to the Chairman of the Grievance Committee for investigation according to the procedures established for grievances. The Applicant shall be notified in writing by the Chairman of such action, at which time enrollment of the applicant shall be suspended. If the Chairman has a question concerning the good character of the applicant, said Chairman shall conduct a further investigation of the applicant, including, but not limited to, a request for references, inquiries made to other members, examination of local records, etc. All such information shall be submitted to the Executive Committee for a decision. If the application is refused, the applicant shall be promptly so notified in writing, and also notified that the applicant has a right to appeal this decision to the Board of Directors in accordance with the Disciplinary Procedures Rules of the Society's Bylaws. Membership Year: The membership year of the Society shall be as determined by the Board of Directors, but in no event shall be less than three hundred and sixty-five (365) calendar days. Disciplinary Procedures: All members, whether or not in good standing, are subject to high standards of ethical conduct, honesty, and fair and open dealing in their relationship with other members, and to such standards as may be promulgated by the Board of Directors from time to time as the Disciplinary Rules of the Society. Any member reported to be in violation of these standards shall have such charges promptly investigated by the Executive Committee in accordance with these Disciplinary Procedures of the Society. Upon completion of such investigation, the Executive Committee shall either (1) dismiss the charges, or (2) suspend the member pending final action by the Board of Directors. A report of the Executive Committee's investigation and its recommendation shall be placed before the Board of Directors for action with a copy being mailed to the member alleged to be in violation. If the Board recommends permanent suspension or expulsion, the member shall be notified in writing and that member shall have thirty (30) days from the date of notice in which to respond to the charges in writing to the Chairman of the Grievance Committee, setting forth reasons, if any, why the Board recommendations should not be carried out. If no such response is received by said Chairman, the recommendations of the Board shall be carried out by the Chairman, by written notice to said member. If a written response as aforesaid is received, the matter shall be acted upon by the Board of Directors within sixty (60) days from receipt of the response. The Board shall have the authority to: (a) confirm and execute the recommendation, (b) modify such action, (c) remand the matter to the Grievance Committee for further investigation or (d) afford the member complained of a hearing before the Board. If such hearing is offered, the member shall be notified in writing as to the time and place of such hearing, which can be at the next regularly convened meeting of said Board, during which time, however, the member shall remain under suspension. Such hearing shall be conducted in accordance with the Disciplinary Rules of the Society. National Conventions: A national convention of the Society shall be held each calendar year on a date and at such place as may be determined by the Board of Directors. 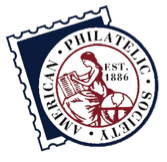 Every reasonable effort shall be made to hold an independent exhibition sponsored by the Society or with one or more of its chapters, or a national convention can be held in conjunction with a prominent philatelic exhibition. Annual Meetings: An annual meeting of the members of the Society shall be held at a time and place as determined by the President. The President shall make every effort to hold such meetings in conjunction with the national convention of the Society. The meeting will be arranged by the Society's convention planning committee or, if the meeting is not being conducted during the annual convention, the President, not later than ninety (90) days prior to the date of the annual membership meeting, shall appoint a local committee to make necessary or desirable arrangements for the meeting. Notice of Meetings: The call to an annual meeting or convention shall be issued by the President in FIRST DAYS at least ninety (90) days prior to the meeting and in each subsequent issue until the date of the meeting or convention. Such notices will be prominently displayed. Special Meetings: In addition to the annual meeting of Society members, a special meeting of such members may be called by Resolution of the Board of Directors, or by a written Petition therefor signed by not less than one hundred (100) regular, charter, honorary, family, or life members and submitted to the President. A notice of any special meeting shall be published in the Journal of the Society not less than sixty (60) days prior to the date of such meeting. The notice shall specify in detail the purpose for which such meeting is called and the matter or matters to be submitted to the members for consideration. No other business may be transacted at such meeting. Meetings of the Board of Directors: The Board of Directors shall meet at least once in each calendar year, for purposes of organization and the transaction of business, at a time and place as selected by its Chairman. Every reasonable effort shall be made to schedule such meeting in conjunction with the annual membership meeting and/or the convention. Regional Conventions: Regional conventions may be held at such times, at such places and upon such condition as the Executive Committee may direct. No Society business may be transacted at such regional conventions except that which is specifically authorized by the Executive Committee. Regional Meetings: A regional meeting may be held by any group of members or Society Chapter, with the approval of the Executive Committee, for the purpose of promoting the Society and attracting new members. Proposed plans and arrangements for such regional meetings shall be submitted to the Executive Committee for approval at least ninety (90) days prior to the date of such meeting. Executive Committee Meetings: Meetings of the Executive Committee shall be held at the call of the President at a place and time deemed most convenient to all Committee members. Expenses: The Executive Secretary is authorized to expend from the authorized budgeted funds of the Society such sums as he may deem appropriate for the expenses of holding a national and/or regional convention, national and/or regional meetings, special meetings and meetings of the Executive Committee. Quorum: A quorum for a national convention, annual meeting or special meeting of members shall consist of twenty-five (25) regular, charter, honorary, family or life members in good standing, in addition to either a majority of the Executive Committee or a majority of the Board of Directors. In the absence of a majority of the members of the Executive Committee or the Board of Directors, said quorum shall consist of at least forty (40) regular, charter, honorary, family or life members in good standing. A quorum of the Executive Committee or the Board of Directors shall consist of a simple majority of those members duly qualified. Voting: Any regular, charter, honorary, family or life member in good standing may vote at any meeting, including those eligible to vote at Board of Directors meetings, in person or by proxy. A proxy must be in writing signed by the member and shall be valued only for the meeting for which it is made, or any adjournment thereof. General Powers: The Board of Directors shall be responsible for the management of the affairs of the Society. The Directors shall have all of the powers and responsibilities as set forth in the appropriate corporate laws of the State of Maryland, the Articles of Incorporation, these Bylaws and the Rules of the Society as may be promulgated from time to time. Duties: In addition to the general administrative duties of managing the Society, the Board of Directors shall elect its Chairman and the Officers of the Society, approve appointments of Department Chairmen, establish the long-range goals of the Society, approve annual budgets, fix the honorariums and compensation to any Officers, Chairmen or others, and shall carry out such other functions as may be required by the Articles of Incorporation, the Bylaws and the Rules of the Society. The Chairman of the Board of Directors shall preside at all meetings of the Board and conduct the affairs of the Board for the accomplishment of Society business. In the absence of the Chairman, the President shall preside as Chairman. Number of Directors, Term and Qualifications: The Board of Directors shall consist of not less than nine (9) nor more than twenty-four (24) regular, charter, honorary, family or life members of which not more than four (4) shall be Directors by virtue of their office. The President, Editor and General Counsel shall be ex-officio members with the right to vote on all issues. The initial number of elected Directors for the Society as a Maryland Corporation shall be fifteen (15) members, with five (5) Directors elected for a term of one (1) year, five (5) Directors for a term of two (2) years, and five (5) Directors elected for a term of three (3) years. After the first elections, one-third of the number of Directors shall be elected each year for a term of three (3) years. Any increase or decrease in the number of elected Directors shall be effected in a manner so as to cause the total number of elected Directors to be divisible by three (3). Any person who has a serious interest in the purposes of the Society may qualify for election as a Director; however, if such person is a member of the Society, he must be, and continue to be a regular, charter, honorary, family or life member in good standing. Regular Meetings: A regular meeting of the Board of Directors shall be held at least once in each calendar year at a time and place as selected by its Chairman. Every reasonable effort shall be made to schedule such meeting at the time, place and in conjunction with the national convention of the Society and the annual membership meeting. Special Meetings: A special meeting of the Board of Directors may be called at any time by its Chairman or at the request of a simple majority of its members. Any such meeting shall be held at a time and place selected by the Chairman or by conference call or other electronic means by which all persons participating in the meeting may hear each other so long as all participants are advised of the use of conference call or other electronic equipment and the names of the participants in the conference are divulged to all participants. At such meeting only the business set forth in the notice thereof shall be considered. Notice of Meetings: Notice of all meetings of the Board of Directors shall be mailed to all Directors by the Recording Secretary at least thirty (30) days prior to the date of such meeting setting forth the time and place of such meeting and, in the case of a special meeting, the specific business to be considered by said Board. Action by Ballot: Any action required or permitted to be taken at any meeting of the Board of Directors may, at the election of the Chairman, be taken without a formal meeting by submitting a ballot to the members. The Recording Secretary shall, at least fifteen (15) days before the deadline for completion of voting, provide to each Director, either through the mail or electronically, either a ballot or instructions for voting electronically, and a deadline for the return of the ballots or for electronic voting. For electronic voting, the Recording Secretary shall utilize a system that verifies each Director's identity and which maintains security. Any Director may request a printed copy of the ballot. Approval by a majority of the Directors duly qualified and eligible to vote shall constitute approval of the Resolution by the Board. Open Meetings: All meetings of the Board of Directors shall be open to public attendance by such means as the Board of Directors may designate. The Board may choose to temporarily close the meeting to the public and operate in executive session when discussing personnel and matters of employment, awards, appointments, qualifications, discipline, inter-organizational agreements, business contracts and negotiations, strategy sessions with an attorney or other advisor in regard to litigation or identifiable claims, discussions which would disclose trade secrets, violate a lawful privilege or lead to the disclosure of information or confidentiality protected by law or contract, or reveal investigations of criminal matters, and/or unusual or extraordinary matters where the lack of confidentiality could or would be detrimental to the Society. A majority vote of the Directors present at a meeting shall be required in order to close that meeting and operate in executive session. Any meeting shall be reopened to the public upon the completion of executive session. Votes of the Board of Directors may not be undertaken in executive session. Non-Board attendees may not speak at or participate in any meeting of the Board unless and until invited to do so by the President, the Chairman, or a majority of Directors present at the meeting. Any disruptive attendee may be escorted from the meeting by a majority vote of the Directors present at a meeting. Separate minutes shall be kept of executive session meetings, and such minutes shall be maintained by such person as the Board of Directors may from time to time designate. Proceedings conducted in executive session, and any minutes of such proceedings, shall be strictly confidential. Any breach of such confidentiality shall subject such person or persons to discipline of the Society, including but not limited to loss of office or membership in the Society. Nominating Committee: On or before the first day of June each year, the President shall appoint a Nominating Committee consisting of a Chairman and at least two (2) additional members, all being regular, charter, honorary or life members in good standing of the Society, informing the Chairman of the Nominating Committee as to the number of vacancies for Director which are to be filed by election in the year. Prior to the first day of August of such year, the Chairman shall report the names of the candidates selected for election as a Director to the President and Recording Secretary. The number so reported must equal or exceed the number of vacancies for Director to be filed by said election. All such candidates must have consented in writing to the Chairman to their name being placed in nomination. Nominations by Members: Nominations for Director may be made by mail to the Recording Secretary by a petition of six (6) or more regular, charter, honorary, family or life members in good standing of the Society. Such nominations may be made for one (1) or more Directors and must be received by the Recording Secretary on or before the 1st day of June of each year. Accompanying each Petition shall be the written consent of each person, indicating consent to having their name placed in nomination. The Petition shall indicate the full name of the nominee, whether a member of the Society, current age, address, telephone number and employment. Election Committee: On or before the first day of September of each year, the President shall appoint an Election Committee consisting of a Chairman and two (2) other members, all regular, charter, honorary, family or life members in good standing of the Society and so selected as to conveniently meet for a tally of the ballots. The Committee shall receive all ballots for the election of Directors and ascertain that all ballots are cast by regular, charter, honorary, family or life members of the Society in good standing, that an accurate record is made of the number of ballots cast for each candidate, and that a report thereof be submitted. All decisions concerning the acceptance of the ballots, tabulation and report of the Committee shall be final unless questioned by a majority of the Board of Directors within thirty (30) days from the date of submission of the report. In this event the Board shall appoint a review committee to examine all ballots, tabulations and other balloting information which shall have been retained by the Election Committee and report the results to the Board of Directors, which results shall be final. Upon completion of the report, all ballots and tabulations shall be delivered to the Recording Secretary who shall retain them for one (1) year from the date of the report, during which time they shall be available for inspection by any member in good standing for good cause shown. Conduct of Election: The Recording Secretary shall prepare the official ballot containing the names of all nominees received from the Nominating Committee and from the membership, with a space for indicating a choice opposite each name. The ballot shall further indicate the number of Directors to vote for, and a notice in bold type that voting for more than this number shall nullify the ballot. The ballot may also contain issues for consideration as may be ordered by the Board of Directors. No other ballot shall be valid for this purpose. The ballot shall be enclosed with an appropriate issue of the Journal. Associate members are excluded from voting in elections. Ballots from eligible members must be returned to the Election Committee by the date specified on the ballot to be valid. As soon thereafter as possible, the Election Committee shall canvas the ballots, reporting the voting results to the Chairman of the Board of Directors, President, Recording Secretary, Editor of the Journal, Executive Secretary, and each nominee. Nominees receiving the greatest number of votes shall be deemed to have been elected to the vacancies to be filed on the Board for a full term of office, then next those vacancies created by the unexpired term of a Director. Organizational Meetings: At the direction of the President, and as soon as practicable following the election of Directors, the Directors, including those existing and newly elected, shall meet for the purposes of organization and the transaction of Society business. Said meeting, if feasible, is to be scheduled in conjunction with the Society's convention and/or the annual meeting of members. All Directors, including those newly elected, shall have one (1) vote. In addition to other business, the Directors shall elect a Chairman of the Board and the Officers of the Society for the ensuing calendar year, fix the honorariums, emoluments and benefits to be paid to members for their services during the ensuing year, and to subscribe to the following pledge: "We, the Directors of the American First Day Cover Society, do hereby declare and affirm that we will faithfully execute the office of Director of the American First Day Cover Society to the best of our ability, without favor or partiality and always in the best interests of the Society." For purposes of determining the term of a year of office for a Director, it shall be a calendar year commencing on the first day of January of the year following that year in which the Director is elected. Every reasonable effort shall be made to schedule the Society's national convention at a time subsequent to completion of the election of Directors so as to permit the organizational meeting of Directors to be held at such convention, which would include not only the Directors whose term would expire on the last day of December of such calendar year, but also the newly elected Directors whose three (3) year term of office would commence on the first day of January of the following calendar year, all of whom would have one (1) vote at such organizational meeting. Under such circumstances, said Board would be constituted by ten (10) elected Directors whose terms would continue, five (5) elected Directors whose terms would be expiring on the last day of December of that year, and five (5) newly elected Directors whose terms would commence on the first day of January of the next year. In the event the Society's national convention is held prior to the completion of the election of Directors in that calendar year, the organizational meeting of the Directors to be held at such convention shall consist of fifteen (15) elected Directors, ten (10) of whose terms will continue, and five (5) whose terms will expire on the last day of December of such year. While the term of office of the five (5) new Directors who are being elected in that year will commence on the first day of January of the calendar year following their election, they would not attend an organizational meeting until the one scheduled in the calendar year following their election, unless a special Directors' meeting is called for this purpose. All newly elected Directors shall be entitled to vote on all matters coming before the Board upon commencement of their terms of office on the first day of January following their election. Quorum: A simple majority of the duly elected and qualified Directors shall constitute a quorum for the transaction of business. Resignations: Any Director desiring to resign shall submit notice of resignation to the Chairman in writing. Removal: Any Director may be removed from office at any time for malfeasance or nonfeasance in office upon a Resolution therefor, passed by at least three-quarters (3/4) of the qualified Directors. In such a proceeding, the Recording Secretary shall submit to all Directors a written statement of charges. The Chairman may call a special meeting of the Board or schedule a hearing at the next regular meeting, at which time the Director so charged shall have the opportunity to appear and be heard. The Director so charged shall be suspended from office until the issues are adjudicated. In no event shall such adjudication exceed a period of ninety (90) days from the date the matter is heard by the Board. A delay beyond such period shall result in the dismissal of the charges and a reinstatement of the Director. Vacancies: In the event a vacancy is created on the Board due to death, resignation or removal, such vacancy shall continue until the next regular election of Directors. At that time, any unexpired term(s) shall be filed by the runner(s)-up receiving the highest numbers of votes in that election. Term of Office: Each duly elected officer and Director shall serve until his replacement has been duly elected and qualified. Compensation: No director shall receive any compensation for services as a Director; however, by Resolution of the Board of Directors the Director may be reimbursed for out-of-pocket expenses for the attendance of meetings. Purpose: The affairs of the Society shall be managed and the business of the Society conducted by the Executive Committee. The Executive Committee shall have the authority to act on all matters which may be delegated to it from time to time by the Board of Directors. At the request of any three (3) or more members of the Executive Committee, any issue coming before this Committee either at a regular meeting or by ballot shall be promptly submitted to the Board of Directors for resolution. Enumeration: The Executive Committee shall consist of the Immediate Past President, President, Executive Vice President, First Vice President, Recording Secretary, the Chairmen of the Membership and Education Departments, Editor, Treasurer, Executive Secretary, and General Counsel all of whom shall have one (1) vote. The Recording Secretary shall attend and transcribe all such meetings. Upon invitation by the Chairman, additional Department or Committee Chairmen or other persons may be requested to attend Committee meetings; however, such invitees shall have no vote. The President of the Society shall be the Chairman of the Executive Committee. Meetings: The Executive Committee shall meet as frequently as necessary to conduct the business of the Society but not less often than once in each fiscal year. The President shall notify all members in writing of the time and place of each meeting, such notice to be mailed at least ten (10) days prior to each meeting. Action By Ballot: When directed by the Chairman of the Executive Committee, the Recording Secretary shall administer matters requiring resolution by the Committee by the use of ballots in the same manner as required for ballots by the Board of Directors. Quorum: A majority of the members of the Executive Committee shall constitute a quorum for the transaction of business. Reports of the Committee: All actions taken by the Executive Committee, whether at meetings or by mail ballot, shall be recorded by the Recording Secretary, with a copy thereof mailed to each member of the Executive Committee and each Director prior to the next scheduled meeting of such Committee or Board. Eligibility: Any regular, charter, honorary, family or life member in good standing shall be eligible to hold elective or appointive office. Associate members are ineligible to hold elective or appointive office. Term of Office: Officers shall be elected to their respective offices by the Board of Directors at the annual organizational meeting of said Board. In the event no meeting of the Board of Directors is held after October first in a calendar year, the officers shall be elected by mail ballot as provided by Article IV herein, the ballot for such election to be mailed to all directors by the Recording Secretary not later than November 30th. The chairperson shall be responsible for prior canvassing of Board members to submit a slate of officers for the election. The term of office for each officer so elected shall commence on the first day of January of the year following the year of election to office by the Board of Directors and terminate on the last day of December of that year, or when a successor in office has been duly elected and qualified, whichever event shall last occur. Any officer may succeed himself in office if so duly elected and qualified. Resignation: Any officer may tender a resignation from office by delivery of a notice thereof to the Board of Directors. Removal: Any officer may be removed by the action of the Board of Directors for malfeasance or nonfeasance in office. Any such removal shall be in the same manner as may be established in the Bylaws for the removal of a Director. Vacancies: In the event of a vacancy due to death, resignation or removal, such vacancy shall be promptly filed by a special election made by the Board of Directors. Honorariums: Officers may be rewarded for their contributions to the Society in a manner and to such extent as may be established by the Board of Directors. Any officer who is also a Director may be rewarded for his contributions as an officer, but in no event shall be rewarded for his service as a Director. President: The President shall be a member of the Board of Directors and Chairman of the Executive Committee. The President shall preside at all meetings of the membership of the Society as well as at all meetings of the Executive Committee. As a member of the Board of Directors, the President shall advise the Chairman as to matters requiring the attention of the Board. At the annual meeting of members of the Society, the President shall deliver a report as to the condition of the Society, which report shall be made a part of the minutes of such meeting. The President shall be an ex-officio member of all committees. The President shall execute, together with the Recording Secretary or any other officer designated by the Board of Directors, any deed, contract, bond or other instrument expressly designated by the Board for signature or execution on behalf of the Society, unless such execution is prohibited by statute or requires the signature or execution of some other officer perform such other duties as the Board of Directors may from time to time direct. Executive Vice President: The Executive Vice President shall be a member of the Executive Committee, and shall preside at such Committee meetings in the absence of the president. In the event of a vacancy, an inability or a refusal to act by the President, and at the direction of a majority of the Board of Directors, the Executive Vice President shall perform all of the duties of President during such unfilled period. The Executive Vice President is a member of the Financial Department. In addition, the Executive Vice President shall perform such duties as may be directed by the President and/or the Board of Directors from time to time. First Vice President: The First Vice President shall be a member of the Executive Committee, and shall perform such duties as may be directed by the President from time to time. Recording Secretary: The Recording Secretary shall attend all meetings of the Executive Committee, Board of Directors and such other Society meetings as the President may direct. Said Secretary shall be responsible for taking and keeping accurate and permanent records of all meetings of the Executive Committee, Board of Directors, and Society membership, and such other meetings as the President may direct, said records when transcribed to be the official record of such meeting or proceeding. The Recording Secretary shall be the custodian of all corporate and official records of the Society and the corporate seal. The Recording Secretary shall prepare and mail notices of meetings, ballots and such other information as may be required by these Bylaws and as may be directed by the President from time to time. General Counsel: The General Counsel shall be appointed by the Board and shall be a member of the Executive Committee, the Board of Directors and the Bylaws Committee. The General Counsel shall maintain and keep current all legal instruments relating to the corporate status of the Society; recommend such changes thereto to the Executive Committee and/or Board of Directors as appropriate; render legal opinions to the President, the Executive Committee and the Board of Directors concerning Society matters and interpretations of the Bylaws, and perform such other duties of a legal nature as the President the Executive Committee and/or the Board of Directors may direct. As a member of the Bylaws Committee, he shall render an opinion as to the legal consequences of their provisions and assist the Chairman in preparing such revisions or additions as may be required. Executive Secretary: The Executive Secretary shall be appointed by the Board of Directors and shall be a member of the Executive Committee. The Executive Secretary shall monitor committee activities and assist the President in recruiting chairpersons and personnel for departments and committees; coordinate convention site selection and convention planning; supervise preparation and inventory of printed materials; and manage publicity and membership recruiting functions by coordinating the efforts of appropriate committees. The Executive Secretary shall pay all debts of the Society after approval in the manner prescribed, receive sums due and payable to the Society and account therefore, deposit funds of the Society in accounts as approved by the Board of Directors, and sign on behalf of the Society all checks and drafts drawn on Society accounts. In addition, the Executive Secretary will be responsible for other duties as prescribed by the Board of Directors or the Executive Committee. The Executive Secretary will be compensated for his duties with such remuneration as may be mutually agreed upon by the Board of Directors and the Executive Secretary. Editor: The Editor shall be responsible for producing the Society’s journal and may have such assistants as may be deemed appropriate by the Executive Committee to assist in editing and publication of the Journal of the Society. The editor will serve as an ex-officio member of the Education Department. Enumeration: The Departments of the Society shall be Finance, Membership, Journal, Sales, and Education. Other Departments or Committees may be created by the Board of Directors as may be deemed desirable from time to time. Chairmen: The Chairman of each Department shall be appointed by the President with the advice and consent of the Board of Directors except for those Departments having an officer as Chairman. Finance Department; The Chairman of the Finance Department shall be the Treasurer, who shall be responsible for establishment of both the long range (five years and beyond) and short range (four years and less) financial goals and programs of the Society. The Department shall include the Executive Secretary who shall be responsible for day-to-day receipts, disbursements and record keeping and the Executive Vice President. The Finance Chairman shall supervise the use of the financial resources of the Society to determine that such funds are carefully husbanded; that disbursements are made only upon proper authorization; that the Society's financial records are accurately maintained, including receipts, disbursements, and assets and liabilities; and that the Society's periodic financial statements and tax returns are in agreement with and supported by the underlying records. Other than the financial reports produced by the Treasurer, the Executive Secretary shall prepare financial reports of his financial activity and distribute them to the members of the Finance Department not less frequently than quarterly. Membership Department: The Chairman of the Membership Department shall be appointed by the President with the approval of the Board of Directors. The Department shall include a Chapter Coordinator and such other assistants as the Executive Committee and/or the Board of Directors may deem appropriate for recruitment, membership renewals, membership directories and other membership related functions. Sales Department: The Chairman of the Sales Department shall be appointed by the President with approval of the Board of Directors, and may have such assistants as may be deemed appropriate by the Executive Committee to assist in the printing or procurement of the Society materials including, but not limited to, bulletins, notices, ballots, cacheted envelopes, membership insignia and such other Society items which may be offered for sale or distribution to members. In addition, the Sales Department shall be responsible for the selection of Society sales representatives, the distribution of Society materials for sale and an accounting of the proceeds thereof. The Chairman shall report the activities of the committee on a periodic basis to the Executive Secretary and shall request approval in advance for any proposed expenditure exceeding $200 whether or not it is included in the annual approved budget. Education Department: The Chairman of the Education Department shall be appointed by the President with the approval of the Board of Directors and may have such assistants as may be deemed appropriate by the Executive Committee to assist in producing, developing and coordinating the use of educational materials, including, but not limited to, slide programs and presentations of philatelic materials, cachet catalogs, handbooks and similar instructional materials and such other publications of the Society as may be directed by the Board of Directors from time to time. The Chairman shall further be responsible for the collection,cataloging, protection and use of all archived materials of the Society. Grievance Committee: The Chairman of the Grievance Committee shall be appointed by the President and may have such assistants as may be deemed appropriate by the Executive Committee for the processing of grievances concerning members in accordance with the disciplinary procedures established by these Bylaws and pursuant to the Rules of procedure as approved by the Executive Committee. Bylaws Committee: The Chairman of the Bylaws Committee shall be appointed by the President. The Bylaws Committee shall be composed of not more than five (5) members. The General Counsel of the Society shall be a member. This Committee shall be a standing committee of the Society and shall review all proposals for changes, additions or omissions to these Bylaws, making such recommendations as may be deemed appropriate to the Executive Committee. The Executive Committee may also make such recommendations on its own motion if deemed desirable. The Honors and Awards Committee: The Chairman of the Honors and Awards Committee shall be appointed by the President. The Honors and Awards Committee shall be composed of not less than five (5) members. This Committee shall be a standing committee of the Society and shall review the performances of members or others whose significant achievements on behalf of the Society or its purposes are worthy of recognition by the Society, making recommendations to the Executive Committee and/or the Board of Directors as it shall deem appropriate. All honors and awards made by the Society or on its behalf shall be approved by this Committee. Budget: The Treasurer, in concert with the Executive Secretary, is responsible for submitting an annual budget of expected fiscal year operating expenses. Such budget is to be submitted to the Executive Committee at the annual meeting of the Society or at least thirty (30) days prior to the end of the current fiscal year. The Executive Committee shall then make such recommendations and modifications as it may deem appropriate, submitting all of the said budgets to the Board of Directors for consideration and approval. Reports: The Executive Secretary, each Chairman, and head of a Department shall prepare and submit periodic written reports to the President containing a summary of those activities in process, those activities and projects completed, and those being planned, expense and budget information and such other departmental information as may be deemed appropriate, said reports being as requested by the President from time to time. Honorariums: Chairmen, officers and members of Departments may be given honorariums for their contributions to the Society in such amount and in such manner as the Board of Directors may approve, provided, however, that any such person who is also a Director shall be rewarded only for contributions rendered as a member of a Department or as an officer, and not under any circumstances for his contributions as a Director. Convention Planning Committee: The Chairman of the Convention Planning Committee shall be appointed by the President and reports directly to the Executive Secretary. The committee shall be composed of not more than five (5) members. This committee shall be a standing committee of the Society. It will receive and review all proposals for annual membership meetings and national conventions and make recommendations to the Executive Committee. It shall make all arrangements for such meetings with the approval of the Executive Committee. Dues for each membership class in the Society shall be fixed by the Board of Directors on a calendar year basis and shall not be changed more than once in anyone calendar year. Membership fees for life members shall be as determined by the Board of Directors from time to time. No annual dues shall be required from life, honorary, or associate members. Organization: Any group of at least five (5) regular, charter, honorary, family or life members in good standing of the Society may associate themselves for the purpose of forming a Chapter of the Society. Also, any existing clubs or philatelic organizations may become Chapters of the Society, which representative shall be and remain a regular, charter or life member in good standing of the Society. Application: Groups of members, clubs or philatelic organizations desiring to become Chapters of the Society shall submit an application therefor to the Membership Department Chairman stating the name of the proposed Chapter, a list of names and addresses of proposed members, the geographical area to be included or the common collecting theme, the names and addresses of proposed officers and the name and address of that person who will be the permanent liaison officer with the Society. If the Chapter adopts a charter and or Bylaws, a copy of each shall accompany the application. Chapter Bylaws: A Chapter may adopt such Bylaws and appropriate amendments thereto for the governing of its members as the Chapter may determine so long as such Bylaws do not conflict with those of the Society. A copy of the current Bylaws and amendments thereto shall be filed with the Chairman of the Membership Department or his designee. Purpose: A chapter shall have as its purpose at least one or more of the purposes of the Society. Dues: The Board of Directors may fix dues and fees paid to the Society on a calendar year, or other basis, as may be determined by the Board of Directors from time to time. Reports: Each Chapter shall submit a written report of its activities to the Chairman of the Membership department or his designee, in a form prepared by the Membership Department, at least thirty days prior to the annual meeting of the Society membership, and at such other times as the Membership Department may request. Suspension: A Chapter may be dissolved by a resolution passed by a majority of its active members, with a copy thereof delivered to the Chairman of the Membership Department. Chapters may be suspended from membership in the Society for failure to furnish an annual report when requested or failure to respond to communications from the Society. Any suspension shall become effective only after a second written notice thereof, which second notice shall be mailed not less than thirty (30) days after the first written notice. Such suspension shall continue until the Chapter assures the Chairman of the Membership Department in writing that the condition of suspension has been corrected. Reinstatement: Any Chapter which has been dissolved may apply to the Chairman of the Membership Department for reinstatement in the same manner as if forming a new Chapter. Any Chapter which has had its Charter revoked may apply to the Board of Directors for reinstatement. Fiscal Year: Unless otherwise indicated, the Society’s fiscal year shall be the calendar year. Legal Documents: The Board of Directors may authorize any officer or officers, agent or agents, to enter into, on behalf of the Society, any contract or legal document in its name, provided such authorization be made in writing. Such authorization may be limited by the Board and shall continue in force until revoked in writing. Accounts: The Board of Directors shall inform appropriate third parties and their agents in writing as to those Society officers who are qualified to sign checks, drafts, notes or other evidences of indebtedness on behalf of the Society and the procedures to be used therefor. In consultation with the Treasurer, said Board shall establish accounts as appropriate for the deposit and disbursement of Society funds. Gifts and Grants: The Society may accept such gifts and grants of moneys or property as the Board of Directors may authorize. The Board of Directors may also authorize the making of loans, gifts, or grants of Society moneys and/or property to other nonprofit philatelic organizations whose activities will further the purposes of the Society, on such terms and conditions as the Board may deem appropriate. Books and Records: All officers or agents who have funds or property of the Society in their possession shall maintain such written records of their transactions as enable them to fully account for the use and disposition thereof, and to be maintained in such form as to be submitted to audit. Review of Financial Records: The Board of Directors shall cause a review to be made by one or more regular, charter, honorary or life members of the Society, or by an independent Certified Public Accountant, of the books and records maintained by the Treasurer at such intervals as the Board may determine; however, a review shall be required upon the expiration of each term of office (regardless of whether the Treasurer has been reelected or reappointed) and also upon the resignation or removal of the Treasurer prior to the expiration of a term. The Board of Directors may also direct that a review be performed of the accounts of any officer or agent having custody of Society funds at such times and in such manner and by such persons as the Board may deem appropriate. Bonds: The Board of Directors may require any officer or agent having custody of Society funds to be bonded by a bonding company and in such amounts as selected by the Board. All premiums for such bonds shall be paid by the Society. Rules of Procedure: The Board of Directors, Executive Committee and any Department or Committee of the Society may adopt rules of procedure not inconsistent with the Articles of Incorporation and Bylaws of the Society or any statute, provided that any such rules shall be in writing and made available to the membership upon request. The Executive Committee shall approve all rules to be adopted by any Department or Committee. Absence of Rules: Procedures at any meeting of members, any Board, Department or Committee of the Society or at any hearing before any Board shall be governed on all points not covered by statute, by these Bylaws, or by Rules adopted by such body, or by the latest revised edition of the Sturgis Standard Code of Parliamentary Procedure. Proposal for Amendments by Members: Any proposals for a change or changes to these Bylaws must be made in writing by at least five (5) regular, charter, honorary, family or life members in good standing of the Society. Such proposals shall be submitted to the Recording Secretary and must contain the names and addresses of each member making such proposal, together with a statement of that part of the Bylaws proposed for change, the nature of the change being proposed, and the reasons why such change is proposed. Proposal by Officers and Directors: The Executive Committee and the Board of Directors may at any time propose changes to these Bylaws in the same manner as a proposal made by the members. Review: All proposals for changes to these Bylaws shall first be reviewed by the Executive Committee and next forwarded to the Bylaws Committee with appropriate comments. The Bylaws Committee may request additional information from any Department or Committee, or from any other source in making its review. The Bylaws Committee, upon completion of its review, shall return the proposal for change, together with its written comments and recommendations to the Executive Committee. The Executive Committee shall then forward the proposed change, together with its recommendation and that of the Bylaws Committee, to the Board of Directors for appropriate action. Adoption: The Board of Directors may, on its own motion, adopt, reject or modify the proposed change or, in its discretion, determine that the change proposed should be submitted to a vote of the regular, charter, honorary, family and life membership, in which event it shall be placed on the next ballot for Directors as an independent issue, stating the text of the existing Bylaw and the text of the proposed change, designed in such a manner as to clearly afford each eligible member to vote for or against the proposal. The results of such balloting shall be reported by the Election Committee to the Executive Committee and the Board of Directors who shall cause the results to be printed in the Journal, together with the results of the election of Directors. Any changes to the Bylaws as made by the Board of Directors shall be published in the next convenient issue of the Journal. Any changes, once adopted, shall be submitted to the Bylaws Committee which shall have the authority to make such minor adjustments to the change, or to existing Bylaws, so that the text of the change is in agreement with all of the Bylaws. No adjustment may be made which will alter the intent and purpose of the change, or any other Bylaw. The Chairman of the Bylaws Committee shall notify the members who proposed changes of the action taken by the Board of Directors and the reasons therefor. The American First Day Cover Society, Inc. shall have a seal in circular form having within its circumference the words "American First Day Cover Society Inc."